Due to our talented and experienced team members, we are engaged in offering a wide array of Double Outlet Fire Hydrant to our respected customers. It is purely a water based fire fighting system to rage the blazing fire that happens during the emergencies. This can be classified into Fire sprinkler system, Hose reel system, Yard Hydrants, Medium and high velocity spray nozzles with foam compounds. 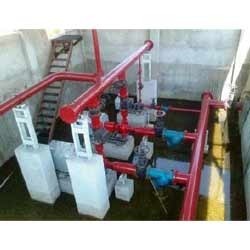 We undertake designs, supply, installation & maintenance of these systems as per NORMs. - Material; Cast Iron, Ductile Iron, Cast Steel, S.S. 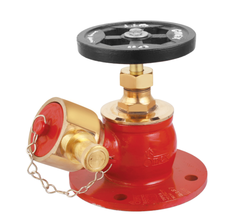 Being a well-distinguished company in the market, we are into offering Industrial Fire Hydrant . Sky Fire Engineering Pvt. Ltd.
Its body is 2 way C S Fabricated. Its inlet is 4 Flanged and outlet is 2-2 ½ flanged with Landing Valves.Its working pressure is 150 Psi and test pressure is 325 PSI.